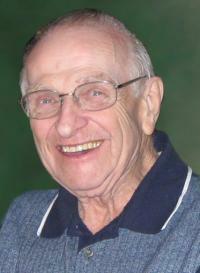 ALAN ALEXANDER RANKIN, 82, passed away peacefully on Sunday, October 14th, 2012, surrounded by his family. Alan was born in Edmonton in 1929 and was predeceased by his loving wife, Evelyn; his parents, Violet & Delbert Rankin, and brother-in-law, Don Evans. Alan is survived by his four children (Carol, Debbie, Brian and Bruce); four grandchildren, and their significant others (Shaun, Kelly & Matt, Scott & Lisa and Lindsey); sister, Norma Evans, as well as many cousins, nieces and nephews. Please join the family for a celebration of life service on Friday, October 19th at 1:00 p.m. at Four Points by Sheraton Edmonton South, located at 7230 Argyll Road, Edmonton, Alberta. Celebrant Robert R. Cully will be officiating. In lieu of flowers, please consider making a donation to the charity of your choice in Alan’s name.